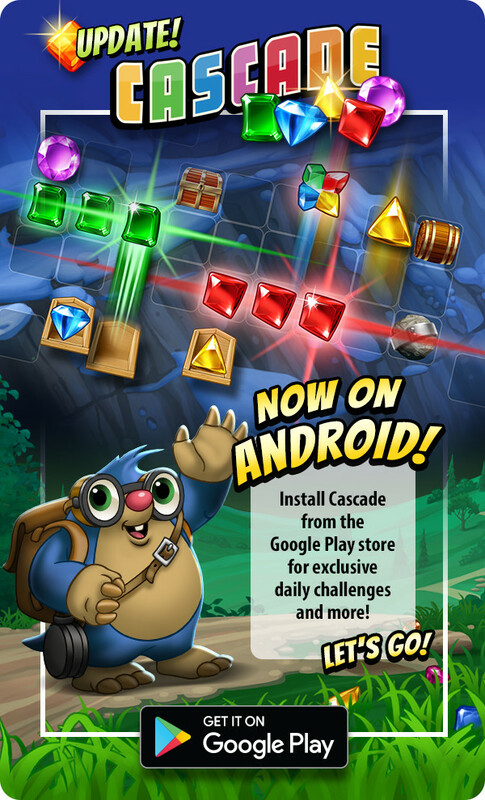 Cascade Now on Android™ Devices! CASCADE is now available on Android devices! Come join the fun! ← Cascade: Dig Into Some Fun at the Klondike Mine!